Most homeowners do not realize that they need roof repair service until the damage to the inside of their home is apparent. At this point, the repairs needed can be very extensive and expensive. The best rule of thumb in roofing is to be proactive in your approach and have a routine residential roof maintenance inspection to spot maintenance before the leaks grow out of control. A professional and educated roof inspector looks at all the areas that could allow your roof to leak from the top of the roof and also inside your home in the attic. Shingled roofs are the most popular due to installation costs. Shingles that are blistered, curling on the edges or have splits in them can allow water to seep through to the plywood sheathing on your roof underneath them. Shingles that are loose because they are missing nails or have exposed nails or shingles that are missing allow water leaks to enter your home. All shingles on the hip lines and at the top ridge need to be examined closely to make sure they are not broken or loose. Metal flashing should be held in place with caulk so it doesn’t come loose and cause a leaking area. Shingle seals are looked at to make sure that they are not broken. 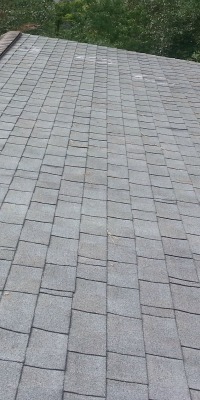 Shingles missing most of the grout are not doing their job in protecting your home. Cracks around the chimney allow water to leak down the chimney and inside your home on each side of the fireplace. Gutters and downspouts need inspecting as well as fascia boards to make certain they are not rotted. A qualified roofer needs access to your attic to examine the plywood sheathing for signs of leaks in your home that can lead to mold and make your family ill. Signs of water lines or cracks in the sheathing need repairs. 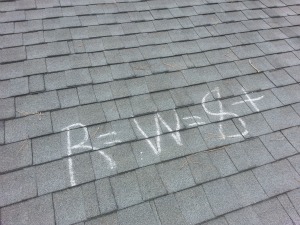 An inspector measures your attic and determines the correct ventilation for your size attic. He then determines the attic intake air vents size so that your attic can breathe with proper ventilation. The decking between rafters in the attic need replacing if they are sagging from dampness or age. All exhaust fans in your attic, for your kitchen and bathroom, need inspecting inside your home to make certain they are not leaking around the metal. Your dryer vent and chimney, as well as any other openings that go from inside to outside your home, should be well sealed as well. Very small leaks in the roof can escalate to ruining the inside of your home before you are aware they exist. Full-service roofing services and residential restoration In Lexington and Columbia for damage caused by fire, weather, water, vandalism, burglary and vehicle impact. Fully licensed, bonded, and insured, for your protection. Call one of our roofing contractors now to ask about residential roof installation/repair.